Winery software includes products that manage and streamline the stages of the wine production process, as well as manage the vineyards from which the wine is produced. The software is used by wine producers for vineyard maintenance, inventory management, optimization of the sales and distribution process, and to track the grape harvest. Viticulturists also use the information gathered by the software to boost grape quality, increase grape production, reduce incidence of disease, and streamline operations. The software helps producers and sellers manage their brand and staff and streamline workflows, as well as identify and remove impediments to the level of production and quality. Winery software is typically integrable with accounting and POS systems in the few cases where it doesn’t have that functionality built in. Some solutions will offer CRM (customer relationship management), ERP (enterprise resource planning), and BI (business intelligence) integration to provide a more comprehensive overview of the business. Winery reviews by real, verified users. Find unbiased ratings on user satisfaction, features, and price based on the most reviews available anywhere. WineDirect platform updates, news, resources and training to help you sell more wine. 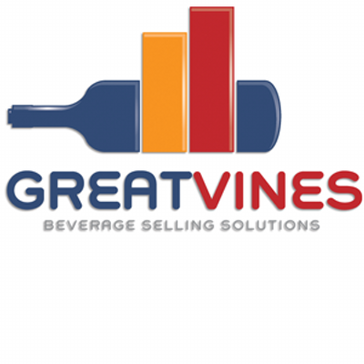 GreatVines manages account development, trade marketing, order entry, depletions and analytics unique to producers and distributors of Wine, Spirits and Beer. ACME is a customizable all-in-one visitor commerce engine for cultural institutions, wineries, attractions, and others. 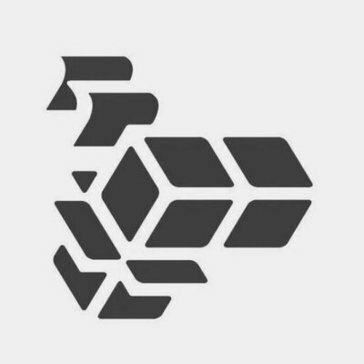 BlackBoxx is a web-based ecommerce platform for wineries and wine clubs. It also rovides social networking, inventory and customer management functonality. VinBalance handles the complete winery business cycle. Comprehensive accounts receivable, accounts payable, inventory, distribution, tax reporting, payroll, general ledger, tasting room point of sale and wine club features bring all of your records into a controlled and accurate system. AMS Winery Production Software is a Modular software that includes vineyard management, wine club, inventory, warehousing, order processing, analysis, accounting, etc. InnoVint is cloud-based wine production software that enables real-time data entry using mobile devices. Our platform designed by experienced winemakers and top engineers intuitive, flexible and models every step of the winemaking process. Microworks Wine Direct is a Retail/Point-of-Sale Management software for the wine industry. Microworks provides integrated CRM solutions for wineries to manage their tasting rooms, inventory, wine club, ecommerce, and campaign driven marketing programs. Orion Wine Software products represent the most well-established information tools available. TeraVina offers wineries the same level of "dirt to dinner table" control over their finances that they have over their wine. At VineSpring, we pride ourselves on offering a comprehensive eCommerce solution to wineries and breweries who are seeking simplicity. We make it easy for you to sell online and manage your clubs and allocations. Our excellent support team is here for you and is always ready to lend a hand or offer advice. Simple Online Experience Showcase your winery's brand and philosophy, make it easy to buy your wine, and provide your customers with a seamless and delightful eCommerce experience. Manage Clubs And Allocations Build customer loyalty, improve retention, and manage your winery from anywhere thanks to VineSpring's flexible club and allocation system. Ensure A Successful Release With our advanced technology and PCI compliant platform, we ensure that your customers have confidence in the privacy and security of their purchases. Intelligent Integration Connected to the apps you care about: Square POS, Quickbooks, MailChimp, ShipCompliant, and more. VinNOW is a winery management solution that handles POS, accounting, compliance, marketing, and wine club functions. Founded in 1983 by James Vahl, PhD., The Winemaker's Database celebrated its 32nd anniversary with the 2015 harvest. We pride ourselves with providing excellent software and outstanding customer support to wineries around the world. As our company moves into the future, we promise to uphold the same exceptional standards that our clients expect - standards that are now synonymous with the name The Winemaker's Database. The Winemaker’s Database includes all of the powerful tools necessary for the successful management and execution of winery operations. Our modular software suite is designed and programmed specifically for the wine industry by wine industry professionals. Consistent with their pursuit of quality in winemaking, our clients have selected the Winemaker’s Database for its flexibility, user friendliness and cost effectiveness. Our company has extensive winery, programming and computer experience. We are dedicated to providing you with the most advanced and powerful wine production management system available. Friendly, responsive and professional customer support will always be our sincere commitment to you. We look forward to working with new wineries as well as existing clients, and we welcome any questions or comments about the software. Here’s to another 30 years of excellence! WMS's software is delivered through Cloud Computing and created specifically for the small to mid-size wine producer to help them better manage and track their winery operations. Wine Organizer is a complete program that allows wine collectors, hobbyists, wine clubs, and cellar's owners to organize, catalog, and manage their collections on their PCs. Wine Tracker Plus is a flexible program designed to meet your personal needs. Its wine database program has been proven to decrease the time you have to spend tracking your sales and getting the information you need to complete your Federal and Sales Tax reports. 360Winery is a cloud-based, end-to-end winery software that helps you track costs and manage all aspects of your winery business, from vine to wine! Active Club All-In-One offers new access to its cloud-based wine club management system, from PCs or Macs, via the Internet over almost any type of connection, including satellite. Active Club Manager is a wine club management solution that integrates with QuickBooks, CAM Commerce, and various shipping carrier applications. Amphora is a powerful winery production application that is used to track and manage the winemaking or brewing process. It is a process log with advanced data storage, management, and presentation capabilities. DeVineWare offers distribution management, depletion and inventory software for wineries. eVineyard is the ultimate vineyard management system that helps winegrower manage their vineyard in a way to reduce costs, grow better grapes and preserve the environment. eVineyard helps winegrowers keep track of their vineyard activities, monitor environmental parameters, analys data, and give precise advices, to help them grow better grapes with less resources. EzyWine streamlines all winery procedures into one comprehensive package which can be easily utilised by every user. GoldMedal Lite is a winery management software that enables cellar door management, wine club management, MYOB & MS Outlook integration, CRM, etc. GrapeGears is a cloud-based sales and marketing tool designed for wineries who want to grow their business using one easy-to-use system. Mio Vigneto Products is proud to announce Grape Ripeness Logger, the first in a series of low cost software products to help Vineyard Managers and Winemakers enhance wine quality. ISAGRI is an agriculture software. iWineLists has a long track record of helping hospitality operations track their liquor, beer and wine inventory more quickly and effectively. KORONA is a Cloud based POS software for wineries. It comes with advanced inventory tracking and an intuitive interface. 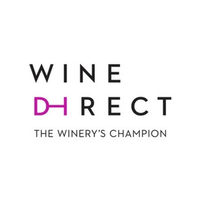 Wine Direct is a Direct Sales Management tool written specifically for the wine industry offers complete integrated solutions for managing tasting rooms, inventory, wine club and campaign driven marketing programs including fulfillment and compliance. PAM UltraVit is a PocketPAM and Grape Forecaster the completes suite for vineyard managers. PremiereVision is a web-based vineyard database application that provides vineyard information monitoring, vineyard management, offers planning tools. Process2Wine is a cloud-based and mobile software exclusively designed for wineries to plan, manage and record daily chores from vine to bottle. Subscribility is a customer-centric database and membership management software. It keeps track of all interactions with your customers and turns each of them into a high-value member while facilitating tasks such as tracking of their membership requirements, and your fulfillment their benefits. TankNET is a modular fermentation management and winery control solution that provides winery navigation, cellar mapping, and tank control tools. Troly is a club management software that enables wine producers to generate more direct sales. Vin65 platform updates, news, resources and training to help sell more wine. Vinea is the solution for Horticulture and Viticulture Operations to improve visibility, performance, and compliance. VineInfo provides a series of integrated planning tools. These tools include farm plans, budgets, and activity schedules for every one of the blocks in their vineyard. Vines Online Solution gives you direct control of your wine ecommerce, club members, event ticketing, website updates and more. Ask us to show you the difference. The software provides wineries easy access to the current and historical vineyard and fruit data. Be more efficient, sell more and maximize profits with Vinosmith, the complete wine management platform built for wineries and distributors. VinoTrac is designed to enter your production notes quickly and easily leaving you time to focus on your wine. Hi there! Can I help you find the best Winery solutions?